Summer vacation is the time to have fun, enjoyment and adventure. It offers a chance to the whole family to spend some quality time and renew the bonding. It gives you a reason to get away from the maddening city life and retreat to some beautiful place and enjoy few days of fun and fulfillment. Hill stations are generally the first choice for summer holidays but you can also head to the beaches for relaxing and having a great time with the family. Mentioned below are the five spots in India which are great places to enjoy your India summer vacation. Home to the famous tea estates and coffee plantations in India, Darjeeling offers wonderful natural settings along with some of the most amazing tourist attractions to explore. Visit the wonderful Gompas and monasteries in the region. 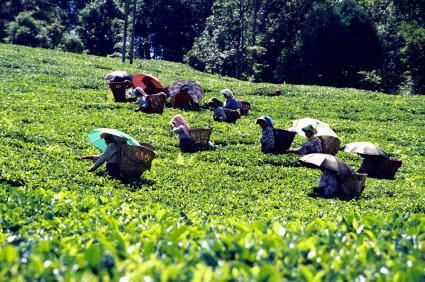 Take a walk through its lush tea estate taking in the sweet aroma in the air. Tiger Hill, Observatory Hill and Peace Pagoda are the main attractions of Darjeeling. Situated in the Dauladhar mountains, McLeod Ganj is a suburb in upper part of Dharamsala. It is considered as ‘Little Lhasa’ due to its large Tibetan settlements. The hill station gets packed with tourists in summers who come here to enjoy the natural splendor of the region. It was named after the governor of Punjab during British regime, David McLeod. The calm atmosphere and a pleasant climate are perfectly suited for the tourist who want to get away from the heat of the plains. The only hill station in Meghalaya, Shillong is surrounded by dense forests and numerous waterfalls. It is often referred to as the ‘Scotland of East’ because of its natural beauty. The city still retains its British legacy and their influence could be seen in the architecture. Many lakes could be seen in the city, Lake Umiam being the most beautiful. Enjoy the breathtaking sight of sunset by the lake. It is truly an exhilarating experience. Most exotic hill station in Karnataka, Coorg is nestled in the lush greenery of Western Ghats. Popularly called the ‘Kashmir of South’, it is filled with amazing natural splendor and beautiful landscape. Dense forests, green meadows, wonderful coffee plantations and lovely lakes- all add to the charm of Coorg. Madikeri fort, Abbey falls and Iruppu falls are the main attractions of this serene hill station. The coral islands of Lakshadweep offers the perfect surrounding to enjoy a vacation with your family. Relax on its clear beaches and enjoy moments of solitude. The beaches are beautiful and without much tourist activity which provide you a chance to enjoy quality time with family. The wonderful bank on the southern tip is best suited for sun baths. Sounds interesting? Plan your Best Place to Visit in India with Gets holidays and let our experts organize the most wonderful trip especially for you.